Mr. James Coy Franks, age 79 of the Twin community, passed away on Sunday January 13, 2019, at his residence. From a young age Coy developed a love for music, he could play anything he picked up, he developed many friendships through his talent. He spent many nights picking and grinning with the Clifty Creek Boys. Mr. Franks also loved the outdoors, when he wasn’t playing music, he would spend as much time as he could either fishing, working in his garden, or woodworking. He was preceded in death by his parents Lloyd and Ollie Franks, and 2 sisters, Ruthie Mae Pratt, and Eunie Giddy. He is survived by his wife, Barbara Guin Franks, 2 sons, Michael Franks and Scott Franks, 5 grandchildren, Jordan Franks (Summer), Jessie Holmes (Cody), Andrea Gail Franks, Kayla Franks, and Katelyn Franks, a great granddaughter, Harley Michelle Jones, a sister, Nellie Green (Troy), a brother, Roy Franks, and a host of other relatives and friends. 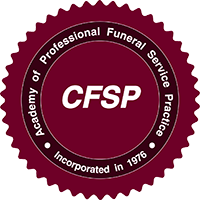 Funeral services for Mr. Franks will be held on Thursday January 17, 2019 at 12:00 noon from the Bowen Funeral Home Chapel with burial to follow in the Bethlehem Cemetery. The visitation will be held on Wednesday January 16, 2019 from 6:00 p.m. until 8:00 p.m. at the funeral home. Bowen Funeral Home serving the Franks family. Mrs. Debbie Rena Chism Dole, age 51, passed away on Sunday January 13, 2019 in the Diversicare Health Care Center in Winfield. Debbie was preceded in death by her mother, Stella Chism Baker. She is survived by her husband, Jay Dole of Winfield, daughter, Katelyn Dole of Winfield, son, Bradley Dole of Winfield, father, Charlie Jumper, her Daddy, Cecil Baker, 3 sisters, Tammy Baker Whitman, Norma Jean Jumper, Diane Carter, and 2 brothers, Roger Baker, and Toby Jumper, a host of aunts, uncles and other relatives and friends. The funeral services for Mrs. Dole will be held on Wednesday January 16, 2019 at 2:00 p.m. from the Bowen Funeral Home Chapel. Visitation will be held on Wednesday from 1:00 p.m. until 2:00 p.m. (service time). Bro. Mark Maddox will be the officiating minister. Burial will be in the Hope Baptist Church Cemetery in Hackleburg. Bowen Funeral Home serving the Dole family. Mr. James Wayne Thompson, age 75 of Winfield, passed away on Thursday, Jauary 10, 2019 at St. Vincent's Medical Center in Birmingham. Wayne was born on January 12, 1943 in Dora, AL. He was employed with the Winfield Cotton Mill for many years until its closing. Mr. Thompson was preceded in death by his father, George Thompson. He is survived by his wife, Johnnie Guin Thompson of Winfield, his mother, Lessie Thompson of Guin, a daughter, Angela (Mike) Harder of Fayetteville, GA, a son Keith (Melissa) Thompson of Northport, grandchildren, Justin Harder, Emily Harder, Kaitlyn Harder, Michael Harder, and Harrison Thompson, great grandchildren, Jude and Georgia Kate Harder and Kaiden Threatt, 3 brothers, Gary Thompson, Bill (Nina) Thompson, and Tim Thompson, 2 sisters, Shirley Raburn, and Sharon (Donnie) Smith, and a host of other relatives and friends. Funeral services for Mr.Thompson will be held at 6:00 p.m. on Sunday, January 13, 2019 from the Bowen Funeral Home Chapel with burial to follow in West Alabama Memorial Gardens in Gu-Win. Bowen Funeral Home of Winfield serving the Thompson family. Mrs. Debra “Debbie” Marshall Holt, age 65, passed away on Friday, January 11, 2019, at the Diversicare Health Care Center in Winfield. Debbie was a 1971 Winfield High School Graduate, and received her LPN Degree from Northwest Community College in Hamilton in 1975. She was preceded in death by her parents, James A. and Martha Roberts Marshall, husband, Wendall Holt, daughter, Christina “Christy” Holt Cagle, son in law, Scott Cagle, father in law, James Bruce Holt, her mother in law, Dorothy “Dot” Holt, and a brother in law, Steven Holt. Debbie is survived by her granddaughter, Cortney Paige Cagle (Jeremy Gober) of Mt. Olive, AL, great grandsons, Jackson Dean Gober and Owen Scott Gober, sisters, Vickie Marshall Bryant (Matthew T.) of Vance, Lynda Marshall Messer of Winfield, and Katrina Lee Miles of GA, and a host of nieces, nephews, and other relatives and friends. Funeral services for Debbie will be held on Sunday, January 13, 2019 at 2:00 p.m. from the Bowen Funeral Home Chapel with burial to follow in the Bethel Cemetery near Brilliant. The visitation will be held on Sunday January 13, 2019 from 1:00 p.m. until 2:00 (service time) at the funeral home. Bowen Funeral Home of Winfield serving the Holt family.